Todd T. Rogers, an associate professor at the Kennedy School, gives a seminar about a text messaging program that alerts parents on student performance and how to reduce student absenteeism on Tuesday at Larsen Hall. Harvard’s Center for Education Policy Research commenced its public seminar series Tuesday evening with a presentation on improving learning outcomes through the use of digital alerts. 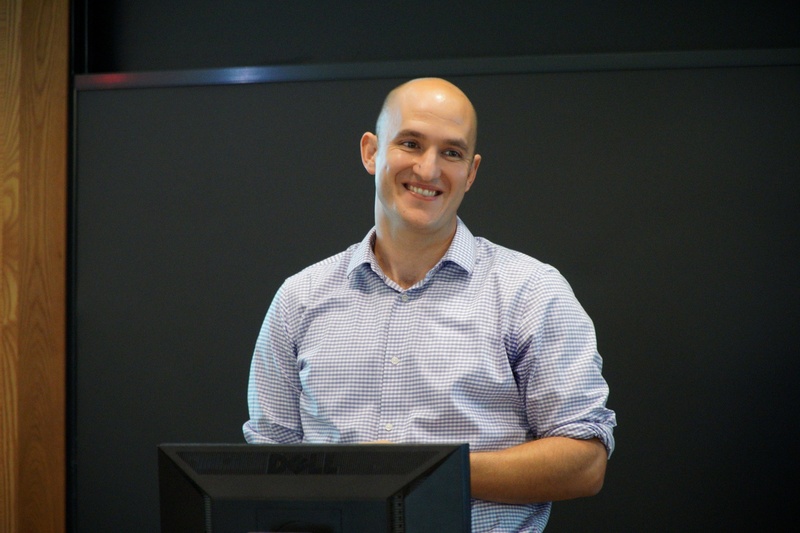 "PIER is a wonderful opportunity for the larger Harvard community to come together around issues of education research," said seminar coordinator Robert Pollard. "I think this is an exciting launch to the seminar series." In his lecture, Kennedy School Associate Professor Todd T. Rogers presented his study of summer school students in Boston Public Schools, which revealed that sending parents automatic text messages alerting them when their child's academic performance dropped below a certain threshold led to both improvements in GPA and a reduction in failed classes. Rogers said the results indicated the importance of the “defaults” on technology adoption. Elli Suzuki, a student at the Graduate School of Education who attended the seminar, was enthusiastic about the potential of these findings to improve education. "I was really fascinated by how a low-cost intervention like text messages could have an effect on learning outcomes," Suzuki said. Ed School student Diwakar Kishore said he was also impressed with the study's findings, but had some reservations about automatically enrolling parents into receiving text alerts. "I think it's fascinating to use behavioral insights into changing patterns of behavior that have positive impacts, but I am slightly worried about the ethics of it,” Kishore said. “It might have a beneficial impact on society, but where do you draw the line? And who decides what's beneficial in what context?" The next PIER seminar will take place on October 24 and feature Jennifer L. Jennings, a professor of Sociology and Public Affairs at Princeton University.